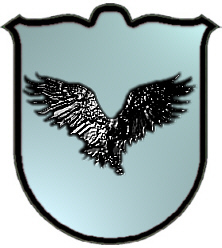 Coat of Arms: Silver with a black eagle. Motto Translated: I flourish again. 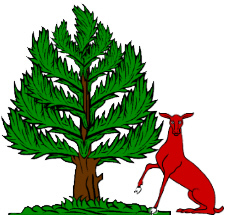 Crest: A seated deer by the side of a pine tree. First found in Yorkshire where they were seated from early times and their first records appeared on the early census rolls taken by the early Kings of Britain to determine the rate of taxation of their subjects. Some of the first settlers of this name or some of its variants were: Alan, David, George, Henry, Hugh, James, John, Mary, Robert, Samuel, Thomas, William Maxwell all arrived in Philadelphia between 1840 and 1860. In Newfoundland, William was a soldier of St. John's in 1821. "Mack is a Scottish patronymic name from an Old Norse given name Makkr , which was a form of Magnus. Occasionally, in the US, the name Mack is an shortened form of any of the many Scottish names that began with the patronymic designator Mc, or Mac. Maccus is a variation. (Balleul-en-Vimeu in Picard), William de Buchan (Buchan in Scotland),Christopher de Seton (Sayton in Scotland), William de Kirkhaugh (Kirkhaugh in Northumberland, my family), etc. One interesting example comes from the surname of Maxwell. Sometimes confused with the Norman, Maccusville, the name actually came from Maccus, the son of Unwin, a Saxon lord, who obtained a salmon pool on the river Tweed near Kelso Bridge. The pool was then called, Maccus's wiel (pool). 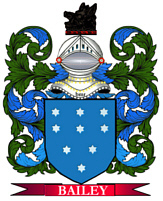 The adjacent lands got the name, and the descendants of Maccus became known as, - - - de Maccuswel, and, subsequently, became the powerful Maxwell family of Dumfriesshire and Galloway. But, since not too many persons held significant lands, place-names quickly began to refer to the region or district from where a family originated. For example, Andrew de Moravia ( ofMoray), William de Douglas (of Douglas - dubh glas), Adam de Haddyngton (of Haddington),etc. The Maxwell clan motto is "Reviresco" which means "I will grow strong again". " Spelling variations include: Maxwell, Maxweel, Makeswell, Makiswell, Maxuel, Maxwaile, Maxwale and many more.